How the tides of fortune change. A couple years back Nintendo couldn't give Wii U away if they papered it in $100 bills and launched it from a cannon into consumers' living rooms. 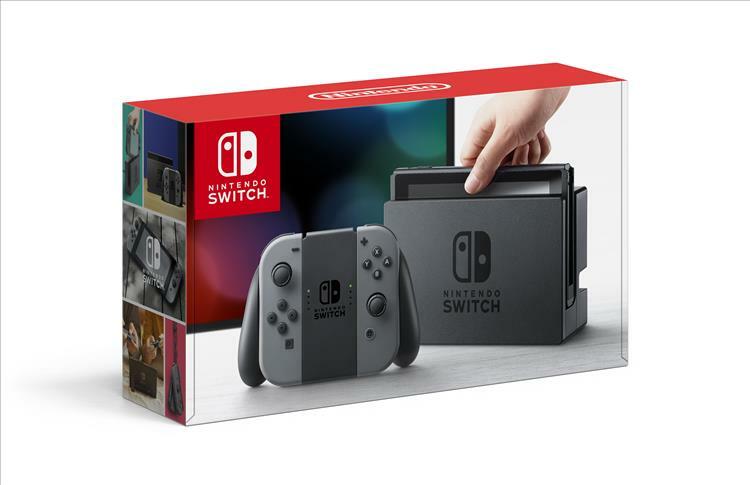 Now the Nintendo Switch, according to sales figures, is the fastest selling home video game system in US history. This is a bit ironic considering Switch is half home console, half portable but in any case the hardware has hit on something the American public was hankering for. The Switch has sold 4.8 million units in its first 10 months on shelves, surpassing even the original Wii which moved 4 million units in that same timeframe. I think the takeaway here is that the system's versatility, but more importantly its incredibly strong software lineup, gave the console momentum out of the gate and delivered a very profitable holiday season. I've said it before and I'll say it again, it's all about the games, a stubborn fact that any game hardware maker ignores to their own peril. I was worried that launching in March 2017 of all times was a bad move, but it let Nintendo build a strong catalog over 10 months and deliver some holiday heavy-hitters like Mario Odyssey and Xenoblade Chronicles 2. Here's hoping Switch Year 2 is even better. When Gaming Nexus stalwart and EIC Charles Husemann buys one, you know Nintendo is doing something right. REDMOND, Wash.--(BUSINESS WIRE)-- Nintendo Switch has become the fastest-selling home video game system in U.S. history. The home console that players can take wherever they go launched March 3, 2017, and in 10 months has sold more than 4.8 million units in the United States, according to Nintendo’s internal sales figures. That’s the highest total for the first 10 months of any home video game system in U.S. history, surpassing Nintendo’s own Wii system, which was the previous record holder with more than 4 million units sold during the same timeframe. More than 300 games created by third-party developers have already launched for Nintendo Switch. These include big-name brands like FIFA 18 from Electronic Arts, Mario + Rabbids Kingdom Battle and Just Dance 2018 from Ubisoft, Minecraft: Nintendo Switch Edition from Mojang, L.A. Noire from Rockstar Games, NBA 2K18 from 2K Games, Sonic Mania from SEGA, Ultra Street Fighter II: The Final Challengers from Capcom, Rocket League from Psyonix and The Elder Scrolls V: Skyrim and DOOM from Bethesda. Nintendo Switch has also received strong support from indie developers, with a steady stream of favorites like SteamWorld Dig 2 from Image & Form, Golf Storyfrom Sidebar Games, Overcooked Special Edition from Team17 Digital Ltd and Stardew Valley from Chucklefish LTD. This year, Nintendo Switch owners can look forward to Nintendo-published games like Kirby Star Allies, Bayonetta,Bayonetta 2 and a new game starring Yoshi. Fans can also expect continued support from major publishers such as EA, Activision, Ubisoft, Capcom, SEGA, Take 2 and Bethesda, plus a growing catalog of quality content from indie developers.